The unfortunately named Stockholm-based power metal band was founded when Edwin Premberg met Emma Bensing in 2015. Edwin and Emma started to co-operate with Danish producer Jacob Hansen to write songs. 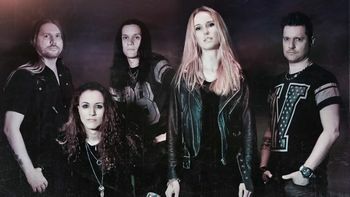 The Swedish melodic metal band Metalite released its debut album Heroes In Time through Inner Wound Recordings in late 2017.